My customer was trying to use the form I created and it came up with an error message that says "PCI Security Error: Security header is not valid". I'm not sure what I am doing wrong. Can you please help? The PayPal PCI security error is normally due to invalid credentials used in the PayPal Payment PRO integration. 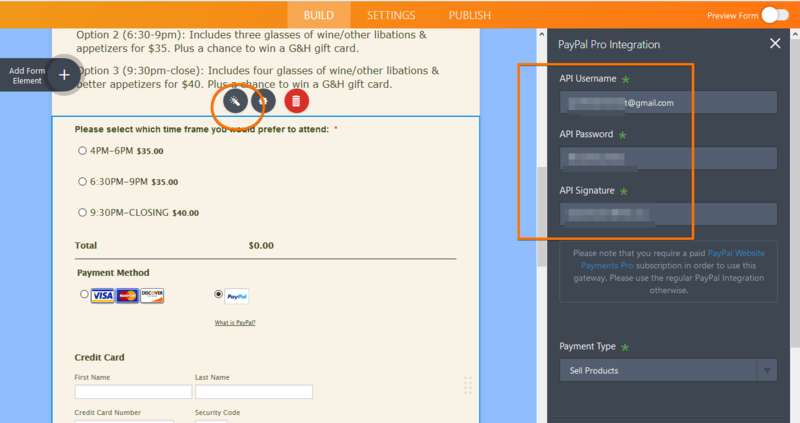 Make sure the API username, password, and signature are valid and working. I’ve changed the account information multiple times and it’s still reading as an error for my customer. Can you please help me identify what the problem is? I have tried submitting the form using test credit card number and see that it is displaying a different error message. When I tried to use the Sandbox mode on the cloned version of your form with your API details, it is displaying the Security header error message. Could you confirm if you are using the API credentials of the PayPal live account and not sandbox? Also, please let us know if the same credentials used on any other form is working without any issue.